For your free pic friday pleasure! 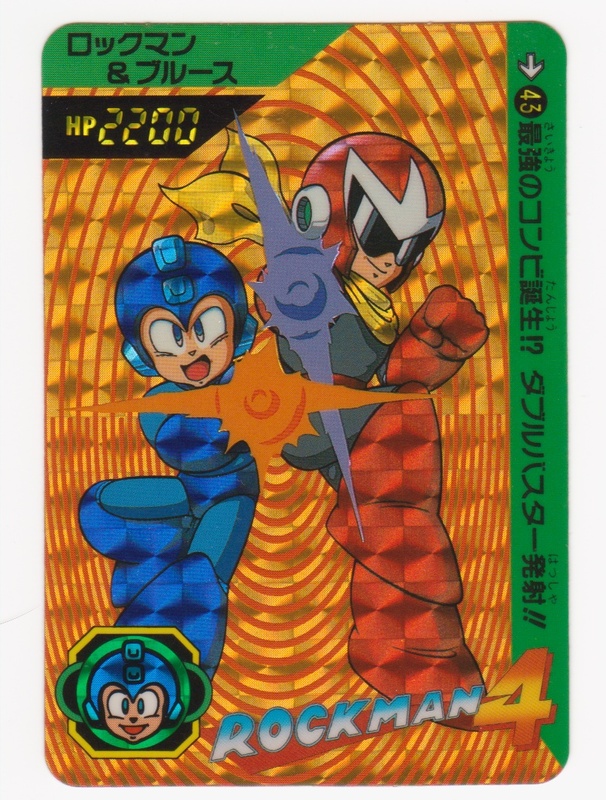 A holocard scan from Carddas’ classic Rockman card series featuring the star of the week, Blues! Joining forces with his little brother, these two are unstoppable! 43. The Creation of the Strongest Combination!? Double Buster Fire!! Kinda gives you a warm, fuzzy feeling, doesn’t it? 3 Comments to "Free Combo Friday"
Well, there is a Japanese Yahoo blog (cardbaka382) with scans of several carddass, including Rockman 6, Rockman World 5, Rockman 7 and Rockman X1-3. Seeing the images is a bit of a hassle, but they are there. 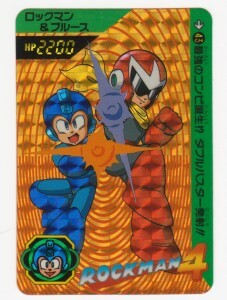 Has some good images like Mega Man/X fighting against the eight bosses. That’s awesome! I had no idea that was there. Thanks for sharing that with us!